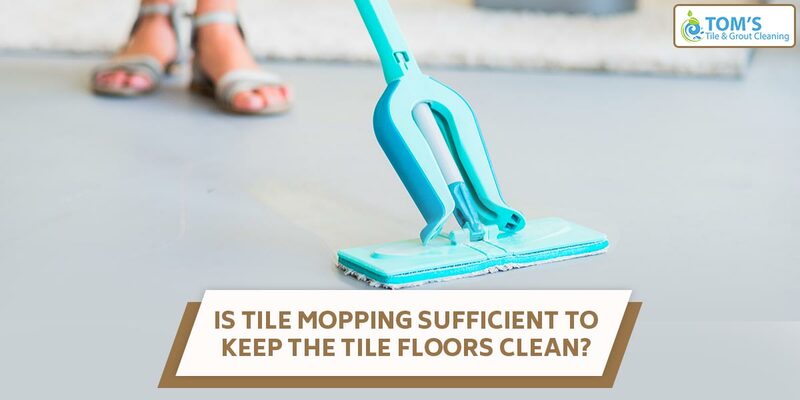 Homemakers are very well acquainted to the efforts of tile mopping required in keeping the home clean especially when children or pets are around. A clean house is not just beautiful to be in but it is essential to maintain cleanliness when considering the health hazards associated with dirt and stains. Dusting, mopping and carpet cleaning is few of the very basic essentials to maintain a clean environment inside the homes. You may or not but despite regular tile mopping the floors at our homes are really gross and house a host of microorganisms. Everyday droppings, moulds, pet hair and dust particles are contributors to making the floors gross and unhygienic. Dusty, muddy paws, spilt food etc may all get accumulated in the grout and promote bacterial growth. The 5-second rule stands broken over here and tedious work is what you need to combat these problems. Some people may prefer using hot bleach water, but again using such harsh chemicals especially with children around can be hazardous to health. A variety of mops are available in the market claiming to be the “best mops to clean tile floors” but even these best mops may stand a failing when not kept clean. The dusters, mops or sponges we use to clean our untidy floors, themselves get filthy after use and how many of us consider cleaning or sterilising them after use? Most of us don’t and even if we do clean them then t may be only on a weekly or probably monthly basis! But this is really not sufficient. You need to put in much more efforts than this. So now as you know that despite using best mops to clean floors, you tiles stand untidy and unhygienic. To keep your floors really tidy and clean you must consider sealing your floors. This prevents dirt from building up in the grouts and empty fissures. Also, you can take help of professionals on regular basis to keep your floors and home free from microbes. Toms Tile and Grout Cleaning Melbourne providers is an association of experts and professionals who offer the best home cleaning services. You can always rely on them when it comes to cleanliness and hygiene. To get in touch with them, contact on 1300 068 194 to avail their exclusive tile and grout cleaning – Melbourne service.